Our family has high standards. 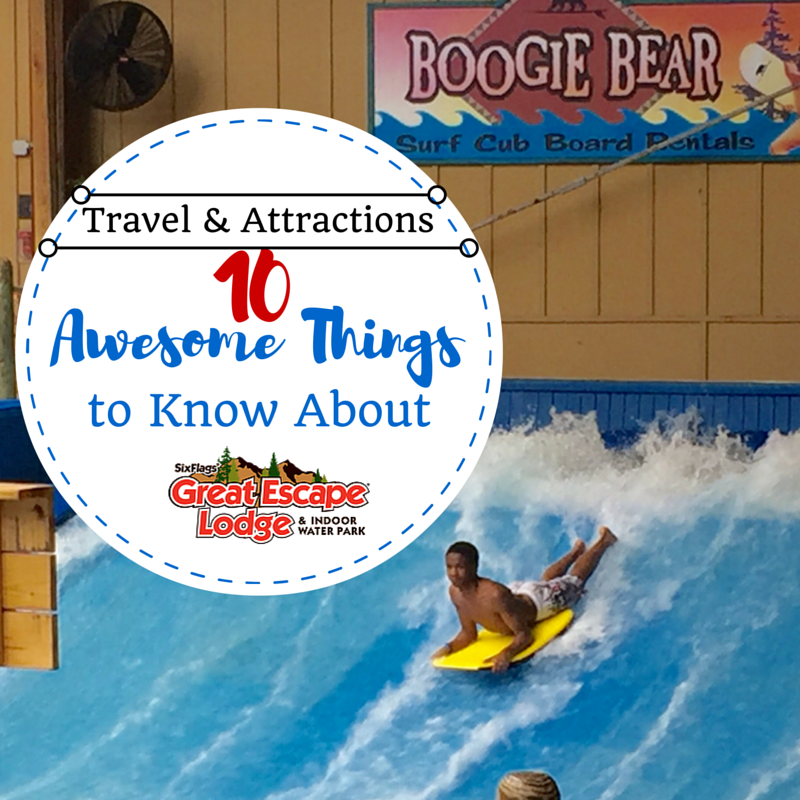 When we travel we are looking for a place that has something for everyone, from our preschooler to the teen boy and big sis, too. 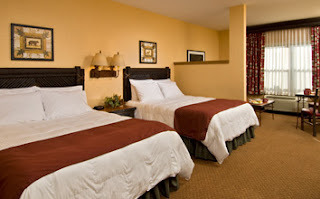 Six Flags Great Escape Lodge has something for everyone with a variety of room options to accommodate a weekend getaway or a family vacation. 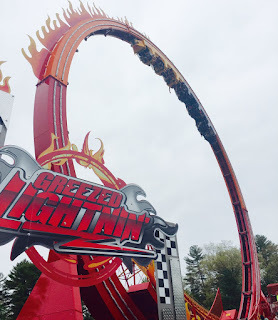 I have said it before and I have to say it again, we have found a true gem of a theme park in Upstate New York that our family raves about all year long. 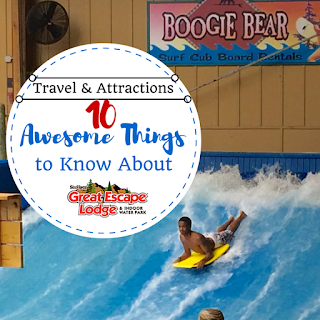 Check out these 10 awesome things to know about Six Flags Great Escape Lodge & Indoor Water Park. I was invited as a US Family Guide Editor to attend a media event sponsored by Six Flags Great Escape for the purpose of facilitating this advertorial. 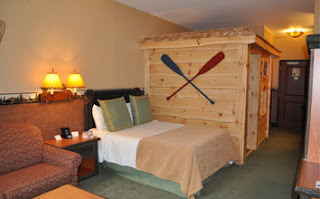 The quaint, Adirondack-themed suites, (which my sons absolutely loved), are non-smoking accommodations, comfortably furnished in warm, "cozy cabin" colors. We were pleased to find that a mini refrigerator and a microwave were standard in each room and not only available in deluxe suites. Everyone was able to find their personal space to wind down from all of the excitement of the water park and theme park and as always to get together for family fun- reading the map and planning out our day at the theme park. Their plan- Divide and Conquer. Translation Mom and 5-year-old Busy will be found when it's time to eat. Offers a unique child sized cabin inside the guest room. The no-parents-allowed fort features Timbertown themed bunk beds and a private television. Beautiful wood floors and timber walls complete the Klub Moose Cabins. The main room of the suite provides a queen bed and a comfortable sitting area including a pull out sofa sleeper and flat screen TV. The base occupancy is 4 persons with a maximum occupancy of 6 people before additional fees apply. Your family will enjoy relaxing in the rustic charm of the Lodge’s traditional suites. Designed to comfortably fit the entire family, these rooms include two queen beds and a full-size sleeper sofa located in a cozy semi-private sitting area. 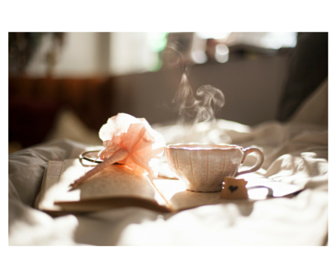 After a fun-filled day, there is plenty of room to spread out, relax and share in laughter and memories. The base occupancy is for 4 persons with a maximum occupancy of 6 people before additional fees apply. These freshly renovated suites- Traditional Suite, Deluxe Suite, Three Queen Suite, Three Queen Bunk, and Four Queen Bunk, serve as a blissful retreat after a long day experiencing the many exciting offerings at the Six Flags Great Escape Resort properties. Each suite features tranquil new color schemes, supremely plush carpeting, warm and inviting contemporary Adirondack furnishings, upscale bath amenities and state of the art entertainment offerings. 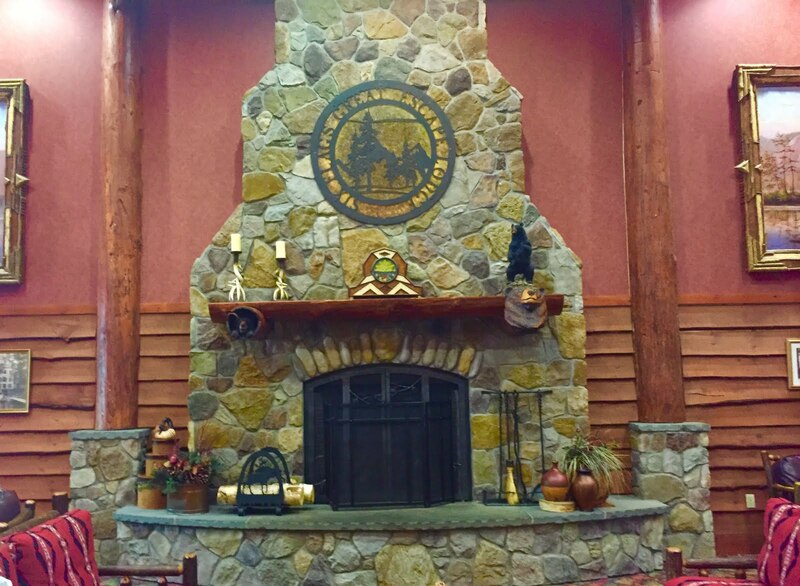 The Six Flags Great Escape Lodge premium suites include the Great Northern Premium Suite, Great Northern Deluxe Suite, Great Northern Three Queen Suite, Great Northern Three Queen and Bunk Suite, and the Premium Great Bear Cave Suite. Guests staying in the all-new Great Northern Premium Suites receive exclusive access to the Great Northern Cafe during morning operating hours. This Cafe features complimentary offerings for Premium Suite guests including coffee, assorted creamers, selection of juices, scrambled eggs, sausage links, fresh fruit salad, vanilla yogurt, granola, cereal, and milk. Good news for the kiddos! 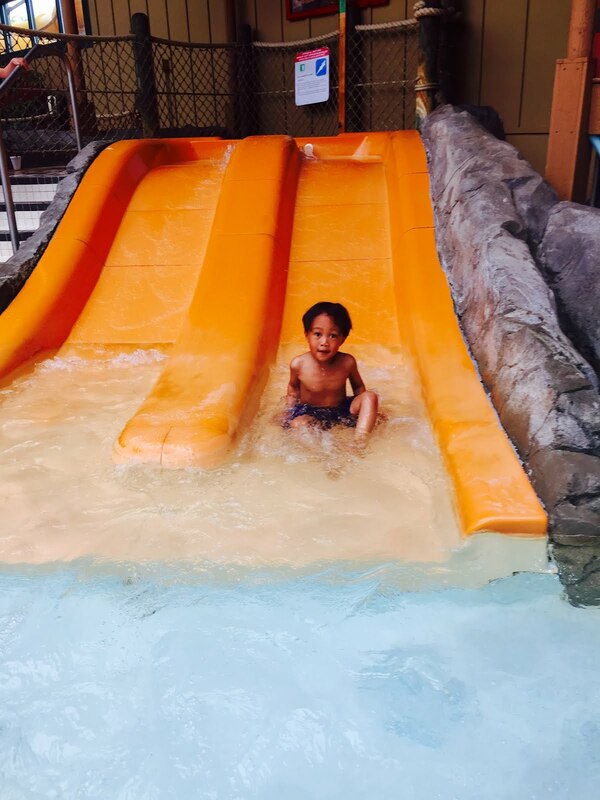 Six Flags Great Escape Lodge & Indoor Water Park presents plenty of fun-filled activities for kids, families and, of course, the Timbertown Characters. 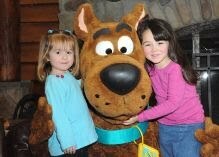 Join in on character meet and greets, games, contests, arts and crafts and scavenger hunts. Don't miss (we missed it) the Timbertown Gang at the Welcome Party at 4:00pm. Gather round for bedtime stories with the characters or make arrangements to enjoy Sweet Dreams with milk and cookies delivered to your suite by a special character friend. There was plenty of energy and excitement all about Six Flags Great Escape Lodge & Indoor Water Park, families of all ages were enjoying Adventure Trek, an exciting interactive gaming experience. Special magic wands help guests on thrilling adventures and missions to protect and save the Six Flags Great Escape Resort from the evil humdrums and sludge monster. With the help of Billy Brains, Double-Dare Dexter and Hurricane Hannah, everyone is a hero in Adventure Trek - Quest of the Guardians, an all-encompassing resort experience. Did I mention that the kids wanted to eat? Conveniently, there are restaurants at Six Flags Great Escape Lodge & Indoor Water Park that are family-friendly and offer a variety of food and beverage options. 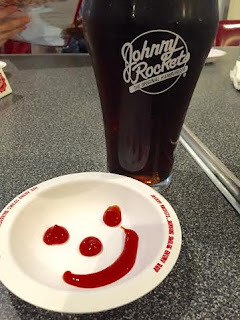 We rested and grabbed a delicious and entertaining dinner at the always fun, Johnny Rockets. 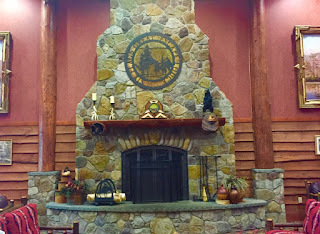 Enjoyed snacks and lunch at the Birch Bark Grill, and will give Tall Tales Tavern a try on our next visit to Six Flags Great Escape Lodge & Indoor Water Park. I love a resort that also has a spa. Tranquility Spa at Six Flags Great Escape Lodge is the place to go for services including massage therapy, skin care treatments, manicures, pedicures and a variety of other options to allow you to relax and rejuvenate. We took a quick tour of the fitness center but were too exhausted by then to do more that a mini-workout. The lodge's fitness room features an elliptical, upright bike and universal gym, along with a flat-screen TV. With almost complete certainty I can say that my kids carried their towels in their hands for the entire car ride to Six Flags Great Escape Lodge and Indoor Water Park. As soon as we checked-in, they were off and ready for over 38,000 square feet of 82° indoor water park fun. My 5-year-old and I drifted, swam, ran and splashed on inner tubes along Tak-it-Eesi-Creek, splashed at Tip-A-Kanu Beach, and were soaked at the Tall Timbers treehouse. The older kids tried to get us to rent our own private cabana, however, there was ample seating available, at the time, for us to find lounge chairs. So, the kids ventured off to Glacier Run and Snow Shoe Falls, Boogie Bear Surf, and Lott-A-Watta Bay before finding Mom- because it was time to eat. After all of the aquatic fun at White Water Bay, we headed over to The Great Escape & Splashwater Kingdom, two fun-filled parks for only one admission ticket! Newly launched for the 2016 season, The Great Escape Greezed Lightnin' looping coaster may or may not be where my daughter lost her voice for a good part of the day. No worries, she managed to trudge on. Our recommendation- do the Blizzard! We were totally unprepared for it and loved every fast-paced minute. Visit Great Escape and Splashwater Kingdom for more information about Six Flags rides and attractions, including accommodations Six Flags Great Escape Lodge & Indoor Water Park.